Personal trainers are often asked this question and the answer given can vary from trainer to trainer. I have heard exercises like Turkish getups, power cleans, or medicine ball tosses be suggested. 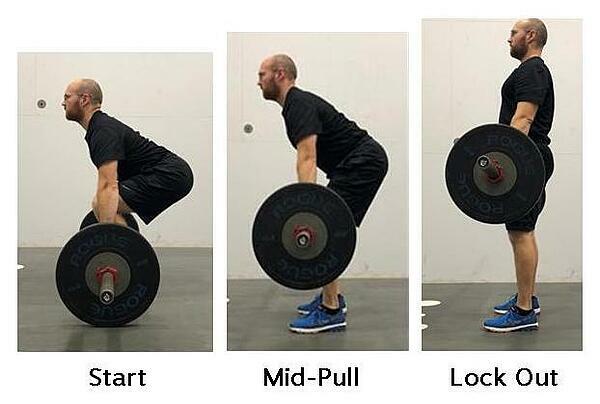 I believe the simplest, best answer is the deadlift. The deadlift exercise can be described by its component words. It is basically pulling or picking up a dead (no momentum), weighted object from the floor. Some responses when I have proposed deadlifting to a client include: “I’m not a powerlifter!”, “Bodybuilding isn’t for me” or “You have to lift heavy weights to deadlift, right?” However, everyone - no matter what age or fitness ability, can reap the benefits of deadlifting. Truth be told, we do it already in our everyday lives without even realizing it. As a parent, I often squat or stoop down to pick up my kids or toys off the floor. What type of movement are we performing when we pick up a package off the front porch, or carry a chair from room to room? 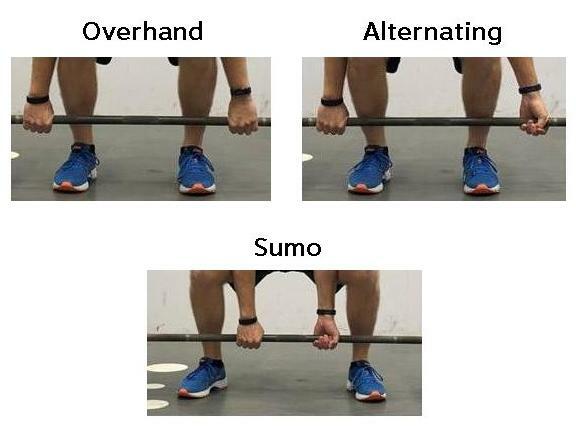 These variations of movement are all in essence a deadlift. Because deadlifting mimicks everyday movement, it is considered a functional exercise. Deadlifting is also a total body movement and is considered “complex”. This term simply means that it uses multiple joints (ankles, knees, hips, spine, etc) and engages various muscles simultaneously throughout the body. The primary muscles engaged are the gluteals, hamstrings, quadriceps, forearms (grip), and abdominals (front and back). Due to it being complex, deadlifting is a great exercise to build overall strength. It also burns many calories due to the sheer amount of muscle groups it engages and it works directly to aid in posture. Finally, I find that it is FUN. I enjoy incorporating various deadlift forms into my personal workouts, as well as into the workouts of my clients - even the ones that are in their 50’s, 60’s, 70’s and 80’s. Your feet should be spaced hip-width apart with your grip just outside your legs. The grip can be overhand or alternate. Your back should be flat - neutral spine - from start to finish. Your shoulders should be back and down (relaxed). The bar should remain in contact or in close contact with your legs for the entire range of motion. The bar should travel at a constant or controlled speed throughout the motion. Your hips and knees should move together to transfer the bar from the ground to the upper thigh. Arching the back: Arching or hyper extending the back shifts the load to the lower back instead of the hips. Rounding the shoulders: Allowing the shoulders to come forward disengages the back muscles, which should instead be helping stabilize the spine. Jerking the bar: The slack should be taken from the bar by squeezing the back muscles and keeping the arms straight. The bar should be lifted in a smooth motion without jerking or hitching. Squatting: The objective of a deadlift is to hinge at the hips. Knees will be slightly bent, but should not bend so deeply as to be in asquatted position. Too far from the bar/load: If the load is too far forward (away from the lower legs), the only way to grab it is by distorting the correct posture. This can increase the likelihood for injury. Uncontrolled lowering of the weight: Bending the knees too soon when lowering the weight can put pressure on the lower back. Only bend the knees once the bar has passed them on the way down. Inexperienced lifters should keep the sets, repetitions and resistance low. Sets should consist of 1 warm-up set and then 2-3 sets at a working weight that is approximately 50-60% of maximum exertion. Repetitions should be kept around the 6-8 range. More experienced lifters will look to add 1-2 more sets with weights ranging from 60-90% of their 1RM (one rep max) and repetitions ranging from 1-6. A great rule of thumb for determining the appropriate weight selection is the last 2-3 repetitions of each set should feel like you are really having to work for them. The flip side to this is you will know it is too much weight if you cannot complete the recommended number of repetitions or when your technique starts to fall apart. 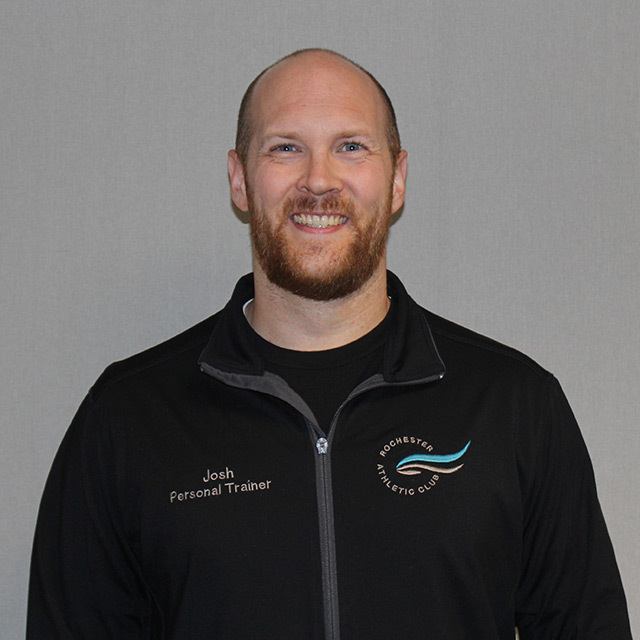 Personal Trainer Josh Karow, M.S., CSCS, ACSM EP-C has a Master's degree in Exercise Science and multiple, nationally accredited certifications. He loves to keep workouts fun by adding variation and he enjoys seeing people progress toward their goals. When away from the RAC, he enjoys spending time with his family and pets. Contact Josh Karow at (507) 287-9335 ext. 354.